The Bharatiya Janata Party has never looked more like the Congress than it did last week. After being questioned about the ballooning cost of a defence deal, it made a U-turn from an earlier promise to reveal details: to do so, it said, would endanger national security. As if to underline how remarkable this turning of the tables has been, it is the Congress that has gone hammer and tongs after the BJP for refusing to reveal details about a massive defence deal and even accuses the government of favouring a specific industralist in the process. The deal at hand is the one for 36 Rafale aircraft, a fighter jet that India has been negotiating to buy for more than a decade. The Indian Air Force had originally issued a tender in 2007 for 126 aircraft and, following a selection process, the Rafale, which is built by France’s Dassault Aviation, was picked in 2012. Negotiations over what exactly India would be getting while buying the fighter were inconclusive under the Congress-run United Progressive Alliance, so when the BJP came to power in 2014 the deal was put on hold. The UPA-era deal was a large one, for 126 aircraft, 18 of which would be delivered in a “fly-away” condition, meaning completely manufactured, while the other 108 were supposed to be built along with India’s Hindustan Aeronautics Limited with some transfer of technology. In 2015, after putting this deal on hold, Prime Minister Narendra Modi visited France and suddenly announced a new deal altogether. India would be buying 36 Rafale jets in a government-to-government arrangement that would see all arrive in fly-away condition, with no transfer of technology. This was touted as proof of Modi’s decisive action, moving forward on a deal on which the UPA had failed to follow through. However, the deal immediately raised red flags. 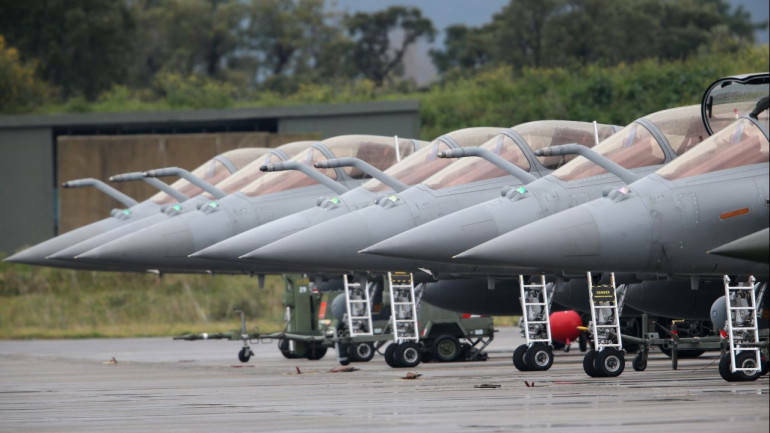 Although the Rafale had cleared the earlier selection process, the old deal was based on a tender for 126 aircraft with a number of other conditions. This new deal was a direct arrangement between France and India. What it lacked, however, was open bidding and the opportunity to discover the price other companies might bid. Nevertheless, after Modi’s arrangement, the deal was pushed through India’s processes. After several rounds of negotiations over the price and a visit from the French President, it was concluded for a price of 7.8 billion euros or about Rs 59,000 crore. Questions were raised about why that amount seemed to come out to Rs 1,600 crore per aircraft, when earlier the UPA had been discussing costs in the range of Rs 526 crore or so per aircraft, although that deal was never finalised. In 2016, the Defence Ministry officially told Parliament that the per-unit cost of the aircraft would come up to Rs 670 crore. Subsequently the explanation for the much higher price of Rs 1,600 crores was that it included all the weapons package, spares, costs to maintain 75% fleet maintainability and logistics for five years. In November 2017, the Defence Minister said in no uncertain terms that she would prove that her government had arrived at a price that was better than the UPA one. But earlier this week, the Defence Ministry told Parliament that it could not answer questions about the specific cost of the aircraft because that would break the confidentiality agreement between India and France. In responses outside Parliament, BJP leaders sought to insist that revealing such details would endanger national security. Congress President Rahul Gandhi and the rest of his party have been relentlessly attacking the BJP, using the additional stick of the offset clause. In the UPA deal, the manufacturer Dassault was to work with India’s public sector HAL to manufacture the bulk of the aircraft. In the Modi deal, done directly with France, Dassault has to spend Rs 30,000 crore in developing manufacturing, design, training and maintenance facilities in India. Since this is not explicitly linked to the public sector HAL, the accusation has been that the deal is set up so that this money goes to Dassault’s existing Indian partner for civil aircraft in Nagpur owned by Anil Ambani. Debate over the deal has raged over the past few days, throwing up some important questions on defence deals in general. Journalist Ajai Shukla, for example, wrote that the defence ministry’s insistence that revealing details about the cost of the aircraft would endanger national security is “not backed by facts”. NDTV’s Vishnu Som points to occasions when the Congress-run UPA also declined to provide details citing confidentiality. Even as the BJP leadership was insisting the Congress was trying to compromise India’s security by asking questions about the deal, Rahul Gandhi came out punching, demanding an opportunity to speak in Parliament and pointing to occasions when the UPA had provided specific details to Parliament. 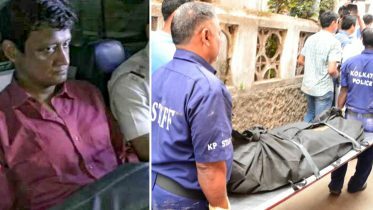 Defence journalist Manoj Joshi offered a different view. He suggested that almost every defence deal involves money beyond the actual cost in some form or the other. He blamed the current state of affairs on the Air Force, saying it “ridiculously, and probably deliberately, combined six different kinds of fighters for a single requirement which was a cheap interim machine till the Light Combat Aircraft was developed”. Be the first to comment on "With Rafale deal BJP really has become Congress"